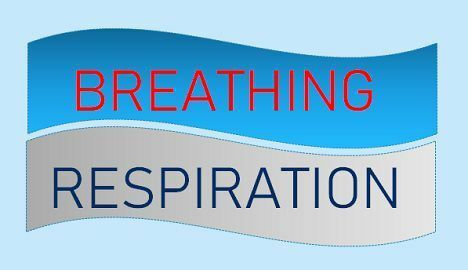 Breathing is the biophysical process which involves the inhaling and exhaling of air through lungs, whereas respiration is the biochemical process which involves in generating the energy by breaking down the glucose which is further used by cells in various function. Breathing is distinct from respiration in many ways, though both are essential for living organisms. As discussed above the mechanism of breathing is associated with the respiratory organs like the nose, lungs, etc., while respiration takes place in each cell of the body. All living beings have one thing in common, which is ‘cell‘, of course, these can be unicellular or multicellular, prokaryotes or eukaryotes. But these cells are only the building blocks and are responsible for carrying out all the internal function properly. Along with the cells, enzymes, catalyst, and other factors also play a crucial role in various processes of the body. With the way to highlighting the points on which the two terms ‘breathing and respiration’ differs, we will also focus on their mechanism. The process of inhaling the oxygen and exhaling the carbon dioxide by the lungs is known as breathing. The process where energy is produced, by breaking down the glucose and the energy is used by the cell to carry various cellular work. Breathing is the voluntary biophysical process and completes in two stages: Glycolysis and Krebs cycle. Respiration is an involuntary biochemical process and happens by inspiration and expiration. Breathing takes place in the lungs. There is no energy production during this process. In respiration, the energy is released in the form of ATP. Extracellular/ Intracellular Breathing occurs outside the cells, and so it is an extracellular process. Respiration occurs inside the cells, and so it is an intracellular process. No enzymes are used while breathing. Many enzymes play an important role during this process. It takes place through respiratory organs like the nose, lungs, etc. Respiration takes in each cell of the body of an organism, especially in organelles like mitochondria, etc. Breathing is voluntary, biophysical action performed by the body, to inhale and exhale the air through the lungs. The process takes place by contracting and expanding the ribcage (chest) which involves the muscles present between the ribs, and the diaphragm is one of such muscles. It is a layer of muscle, which is present between the abdominal cavity and the thoracic cavity. The diaphragm pulls air into the body, when it moves downwards and when air rich in oxygen is reached inside the lungs (at least 20% of valuable oxygen), it is transported to the cells of the body via the bloodstream, and then the process of respiration is triggered in the cells. Breathing is also termed as ventilation. Respiration is the involuntary, biochemical action, performed by the cells of the body. In this mechanism, the glucose and oxygen are converted into water and carbon dioxide and thus releases energy in the form of ATP. As we all know energy is needed by the organism to perform various task physically as well as chemically, like it is used for movement, growth and repair, control of body temperature, etc. The energy is obtained by the chemical reaction known as respiration. This reaction occurs in all living beings like plants and animals cells. There are two types of respiration, Aerobic and Anaerobic. In the aerobic respiration, oxygen and glucose are required to produce water and carbon dioxide and releases energy. This reaction takes place in mitochondria of the cell. Anaerobic respiration is required when we do hard exercises or running, or in the case when there is insufficient oxygen to carry out the aerobic respiration. Though the energy production is less than aerobic respiration, and it also produces lactic acid, which is responsible for causing tiredness and pain which results in muscles cramping. Anaerobic respiration also occurs in microorganisms like bacteria and Yeast which are useful for the fermentation process. These are used in making brewers and wine, while carbon dioxide is used in making bakery products. Breathing is the biophysical and voluntary process of inhaling the oxygen and exhaling the carbon dioxide by the lungs, while respiration is the biochemical process performed by each cell by using oxygen and glucose to produce energy in the form of ATP and used by the other organelles to carry various imperative cellular work. As mentioned above that breathing is the voluntary biophysical process and completes in two stages: Glycolysis and Krebs cycle, on the other hand, respiration, is an involuntary biochemical process and happens by inspiration and expiration or inhaling or exhaling. There is no energy production during breathing, and the only target is to accumulate more and more oxygen and transfer it to the cells, though in respiration the energy is released in the form of ATP. Breathing occurs outside the cells, and so it is an extracellular process, but respiration is an intracellular process as it takes place inside the cells. Many enzymes and catalyst play a crucial role during respiration, but no enzymes are needed during breathing. Breathing takes place through respiratory organs like the nose, lungs, etc., while respiration occurs in each cell of the body of an organism, especially in organelles like mitochondria, etc. From this article, we can say that breathing and respiration are not synonymous of each other, though they are a vital process taking place in the living being. We also came to know that breathing is an exchange of gases between the outer environment and lungs, it is done to absorb oxygen and transfer it to the cells, which further use for producing energy by breaking down of glucose and this is called as respiration.